← Urban Sprawl, a Vision From Space! 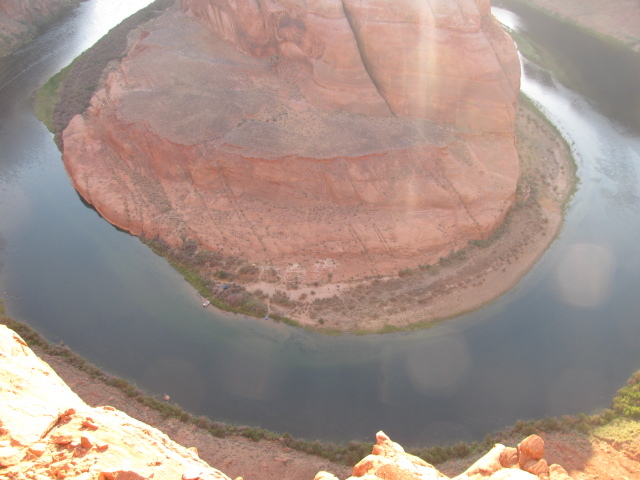 The Colorado River, Tapped out! 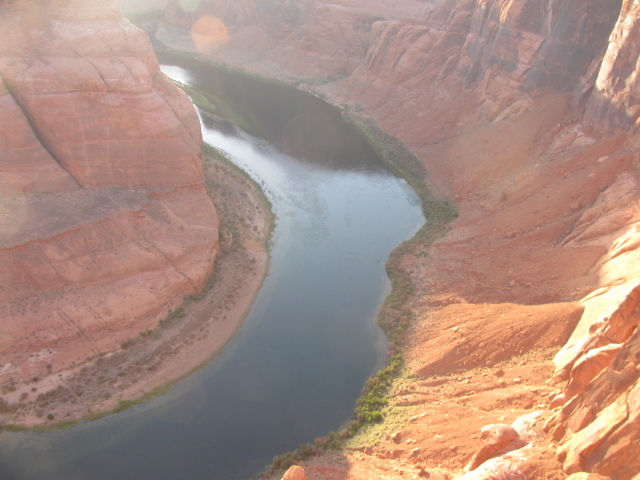 The Colorado River drains the vast basin and range area of the United States. Once this mighty river was free flowing into the Sea of Cortez. Now it is dammed at the Glen Canyon Dam to create Lake Powell, and further downstream below the Grand Canyon at the Hoover Dam to create Lake Mead. These lakes provide irrigation and drinking water for 36 million people in the Southwest and Southern California. Thousands upon thousands of recreationists travel to their banks to fish, waterski, houseboat and generally get away from the intense summer heat. Cadillac Desert by Marc Reisner is one of the best reference books on the History of the fight for Colorado River water. This 1986 book is considered a bible and teething ring for many Hydrologists throughout the country. Here’s a brief synopsis from Wiki on this book. Cadillac Desert, by Marc Reisner, is a 1986 book published by Viking (ISBN 0-14-017824-4) about land development and water policy in the western United States. 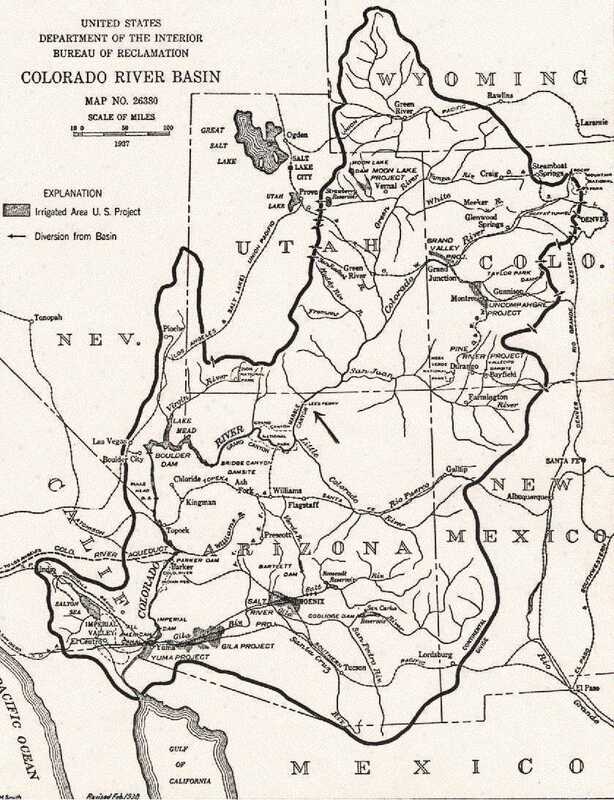 Subtitled The American West and its Disappearing Water, it gives the history of the Bureau of Reclamation and U.S. Army Corps of Engineers, and their struggle to remake the American West. The book’s main conclusion is that development-driven policies, formed when settling the West was the country’s main concern, are having serious long-term negative effects on the environment and water quantity. The book was revised and updated in 1993. A four-part television documentary based on the revised book was produced by KTEH-TV, the PBS affiliate in San Jose, California, in 1996. The parts are entitled Mulholland’s Dream, An American Nile, The Mercy of Nature, and The Last Oasis. How many more people can this River support? This months Scientific American magazine article expounds on what most hydrologists, water managers and politicians have known for decades. The Colorado River is in trouble! Remember, do your part, Conserve Water! This entry was posted in Colorado River, Economics, Environment, Overpopulation, Water Conservation and tagged Environmental responsibility, Water Conservation. Bookmark the permalink.